Getting software to perform a new task is a matter of rewriting its code. This approach can also apply to biology, according to Tim Lu, CEO of Senti Biosciences. Tweaking a cell’s genetic code can give it therapeutic capabilities that adjust to the severity of a disease and also limit the treatment’s side effects. “This has to be where the field goes if we’re going to build this class of smarter medicine,” Lu says. Senti is betting this synthetic biology concept can produce treatments for a wide range of diseases, and it has now raised $53 million in financing to support its research. New Enterprise Associates led the Series A round of funding for the startup, based in Johnson & Johnson Innovation’s JLABS outpost in South San Francisco, CA. With the new capital, Lu says he hopes Senti’s technology can advance into human testing within three years. Senti calls its engineered cells “gene circuits.” The genetic information introduced into the cell tells it what to do. For example, it could tell the cell to produce a particular therapeutic protein. Just as an electrical circuit can have multiple components that enable it to do more things, Senti’s gene circuits could employ multiple ways of treating a disease, Lu says. Initially, Senti is focusing on metabolic diseases and immune system disorders. Senti has already tested its gene circuits in animals. According to mouse study results published in Science Translational Medicine in 2015, cells engineered using the Senti technology were able to detect the elevated protein levels from a psoriasis flare up and then produce therapeutic proteins that improved the lesions and restored the skin. The company says its synthetic cells can constantly monitor for the biological indicators of disease and then produce and deliver therapeutic proteins in response. The paper adds that the test results suggest the approach can be used to treat chronic medical conditions without constant injections. Senti has also studied its technology as a cancer treatment. Mouse study results published in the journal Cell last October showed that Senti’s genetically engineered circuits were able to trigger anti-tumor responses. Other companies have also looked at ways to make genetic tweaks that give cells new capabilities. San Diego-based Synthetic Genomics has used synthetic biology to develop biofuels and vaccines. 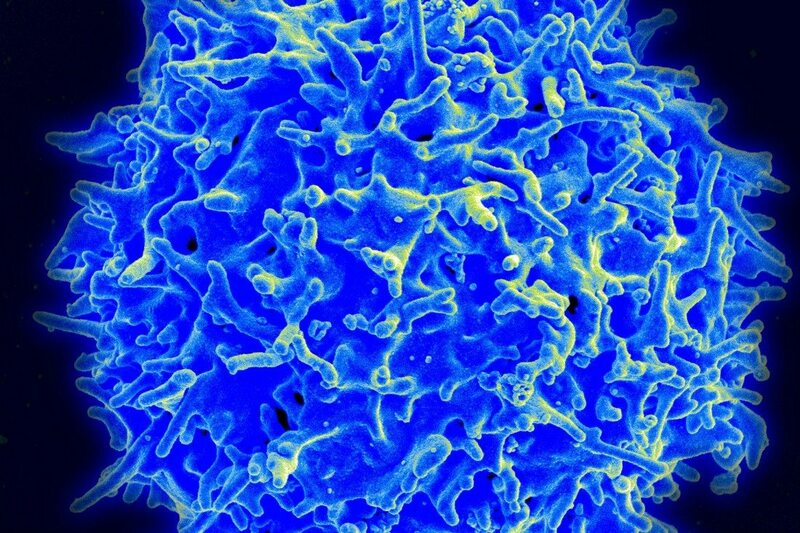 In Emeryville, CA, Cell Design Labs has developed ways to reprogram T cells, the soldiers of the immune system, to make them better, more targeted cancer fighters. The technology proved to be attractive to Gilead Sciences (NASDAQ: GILD), which reached a deal to acquire the company late last year for up to $567 million. Senti was founded in 2016 but Lu, an MIT professor, says that he and other researchers have been working on the underlying technology for nearly two decades. His work has been the basis of other companies, including Cambridge, MA-based Synlogic, another synthetic biology startup. He says Senti builds on research that has yielded advances in cell and gene therapies, some of which are just now reaching the market. Rather than competing directly against those treatments, Lu says Senti’s approach could help gene and cell therapies work better. For example, the new CAR-T immunotherapies that the FDA approved last year for blood cancers don’t work on everyone. Lu says Senti’s technology could broaden the pool of patients that cell therapies can treat. A synthetic biology approach to treating disease could introduce new risks. A paper published this month in Science notes that the method of delivering the engineered cells or the proteins produced by them could trigger an immune response that can “vary from a reduction in therapeutic efficacy all the way to a life-threatening action.” The paper, authored by Ron Weiss and others at MIT’s Synthetic Biology Center, notes that one way to dampen such responses is by administering steroids. Lu says he doesn’t think Senti’s gene circuits pose any more risk than others that use engineered cells. He adds that Senti will try to use its technology to minimize immune system responses that diminish the efficacy of the treatment or cause side effects. With the financing, Lu says Senti will be able to conduct more tests to help it determine its lead drug candidates. In the near term, the company is also looking for partners interested in using Senti’s technology to develop new treatments or even to help their existing cell therapies work better. While Lu acknowledges that there is a financial motivation for partnerships, he also says these collaborations will ultimately refine the gene circuit technology. The more Senti designs gene circuits, the better and more efficient the company will become at it, he says. The other investors in Senti’s financing were 8VC, Amgen Ventures, Pear Ventures, Lux Capital, Menlo Ventures, Allen & Company, Nest.Bio, Omega Funds, Goodman Capital, and LifeForce Capital. Image by Flickr user NIAID via a Creative Commons license.